How do you want your life to look in 5, 10, 20 years time? Is this something you have even thought about? Does the thought of the freedom to work when and where you want appeal? It certainly did to me! Running a lifestyle business online can do just this for you – as long as you have an internet connection, you can be free to work virtually anywhere. For you this may be a sun-kissed tropical beach. For me it’s currently my beautiful homeland of Scotland. But I also know that should I wish, I can up sticks and move anywhere and take my business with me. So you like the idea of having your own portable business, but something is holding you back. I’m sure you can relate to some if not all of the above. But don’t worry, you’re not alone. Most successful online entrepreneurs have felt like this at some time or other. Unfortunately, we’re often our own worst enemies. The only person holding us back from achieving all we want is ourself. However, there is a solution to all this procrastination and prevarication! You just need a system! If you follow a specific system and progress just one step at a time, you can work through all your fears and challenges and create the lifestyle you desire. And how do I know this? Because I’ve done it myself! We all face the same fears and challenges in life. The only difference between the successful online business owners and everyone else is time and the willingness to just get on and do what it takes to make our dreams a reality. So what system should you follow to create your lifestyle business? By this I mean define what you want your business to be and who your potential customers are. I know that this can be difficult to decide on and maybe you need to just get going with something that interests you until you can see where your true passion lies. I recently wrote an article Can You Earn An Income From Your Passion? which you may find useful. When you have decided what your business is to be, niche it down to a particular target market and concentrate on that. This is the most important part of building your online business. You need to have a community to market your business to. So as soon as you can, create what we call a lead generation funnel so that you can start building a list of email subscribers. These subscribers can become your blog post sharers, your social media followers and your future customers. There are two ways to build your email list – slow or fast! The slow way is completely free and comes from organic growth. There is nothing wrong with free marketing as long as you accept that it is going to be a slow process. The faster way is to use paid advertising to get your business and your offer in front of many more people much quicker. However, most of us don’t have a bottomless pit of funds to pour into advertising! So as soon as possible, add a reasonably priced (but one that offers value for money) product to your lead generation funnel. By this I mean something around maybe the $20 – $30 mark. Sales of this will help you to cover the costs of your advertising. Next people need to get to know you. You’ve quite possibly heard the saying that “People buy from those they know, like and trust”. In the online world, people get to know you via content marketing – blog posts, articles, videos, podcasts etc. This way you can build a profile and a brand. Set up an authority website and share your content here. This is your own real estate that you maintain complete control over. Whilst the various social media sites are great for sharing and interacting with your potential market, you have no control over any changes they may make that could lose you your audience in an instant. Concentrate on just one marketing strategy to start with or else you will soon be overwhelmed and then probably take no action at all. Once you are generating new leads for your business and are regularly engaging them with valuable content, what next? Offer them something that they need and/or want. This could be a training program, coaching, consulting, software and tools, etc. And by high ticket I mean something that offers real value to your customers but also gives you a decent financial return for your effort. After all, you’re looking to create a lifestyle business, right? Now your business is starting to grow. With the income coming in from sales of your products, you can now invest in mastering more traffic generating strategies. Just concentrate on mastering one at a time, and learn to track, test and tweak to improve your conversions to sales. This is really just extension and refinement of the previous steps. Continue with creating great content, building your brand and improving your traffic strategies. Then you can look at adding other income streams, be it your own products or services, or someone else’s as an affiliate. If all of the above sounds like hard work, it can be! But so is a career in the traditional working environment. You don’t just walk into a job and start at the top. You start at the bottom and if you apply yourself and learn new skills, you can progress up the corporate ladder. But this can take years. The great thing about creating a lifestyle business online is that the learning curve is much quicker, you can progress at your own pace, not someone else’s, and there is no limit to what you can achieve. And you are doing something you enjoy! Add to this the freedom to work when and where you choose without having to answer to anyone else and suddenly the effort can be worth it. The decision is yours. 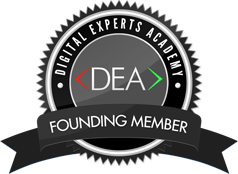 If you know that a lifestyle business is just what you’re looking for but need an training and education program to help you along the way, the Six Figure Mentors and Digital Experts Academy is ideal for you. Watch this short video from co-founder, Stuart Ross, on What Are The Best Products To Sell Online? jump straight aboard and Apply To Join Us Now! and I’ll look forward to welcoming you inside. Whatever you decide to do with your future I wish you every success.